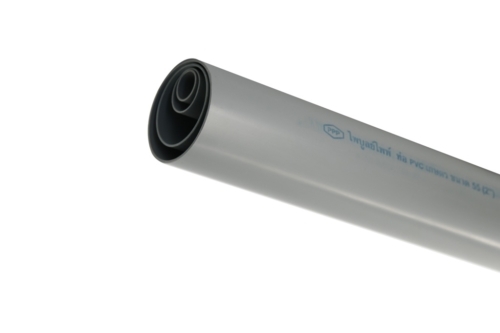 Th e insertion line found on gasketed PVC pipe – marked around the pipe circumference near the spigot end – indicates the depth of insertion of the pipe spigot into the bell. 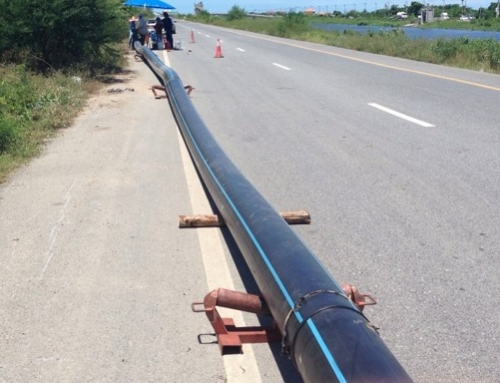 Th e line is positioned by the pipe manufacturer based on bell design, allowances for manufacturing tolerances, and anticipated thermal expansion and contraction. 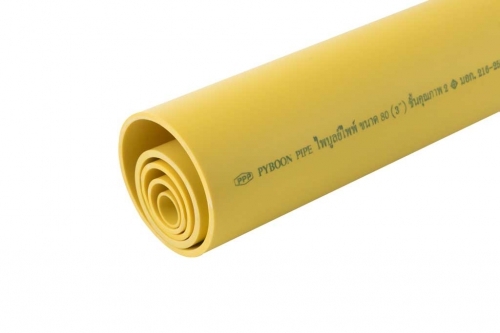 To indicate that the chamfered spigot end has passed the gasket to provide a leak-free seal. To prevent over-insertion of the spigot into the bell. 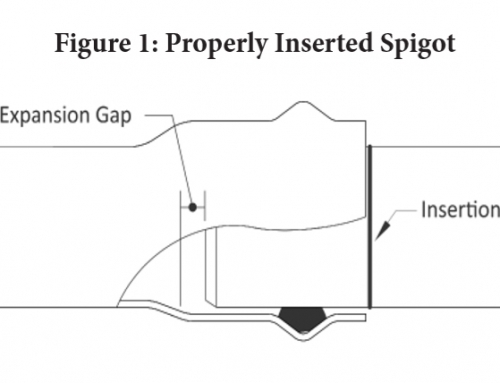 When a spigot is over-inserted, there may not be adequate room for movement of the joint caused by thermal expansion. If over-insertion is combined with axial deflection of the joint, contact between the bell and spigot may cause joint leakage or significant stress in the bell wall. 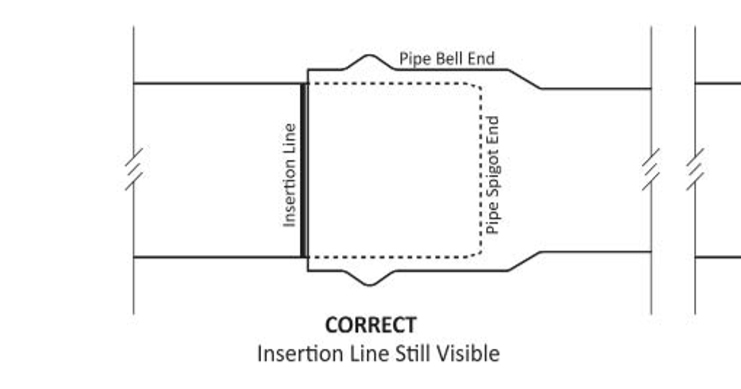 During assembly of the pipe joint, the insertion line indicates the maximum depth of insertion of the spigot into the bell. Aft er assembly of the joint, the line should be visible. If the line is not visible, the spigot has been over-inserted into the bell. 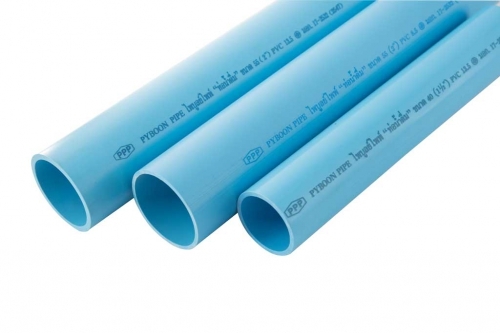 Some pipe manufacturers place two lines on the spigot end of the pipe. Dual lines indicate the maximum and minimum depth of insertion of the spigot into the bell. Aft er correct assembly of a joint with two insertion lines, the line closest to the spigot end (minimum) should not be visible and the line furthest from the spigot end (maximum) should be visible.